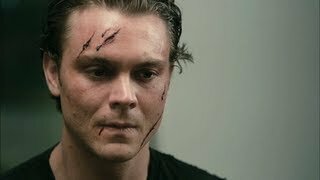 In the movie, Clayne Crawford plays John Taylor, a con man who is on the run and looking for a place to hide. 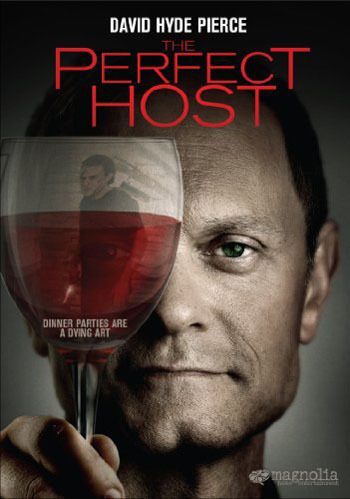 He cons his way into the home of Warwick Wilson (David Hyde Pierce), who is preparing a dinner party for some friends. As the party gets underway, you realize that none of Wilson's guests are what they seem, and you're left wondering who the real con artist is. The movie gets even more twisted when you find out what Wilson does for a living, and what lengths he's willing to go to in order to protect his manifestations. The performances in this movie are fantastic. I expected nothing less from David Hyde Pierce, but I wasn't familiar with Clayne Crawford. His ability to go back and forth between confident con man, vulnerable accessory, and terrified and enraged houseguest is quite impressive. The performances from Wilson's dinner guests are also well given. The movie's pacing was good--I never felt bored, and was instead waiting to see what happened next in this crazy adventure. My only complaints come towards the end of the film. I feel the movie may have taken one or two too many twists, which leave the ending a little, well, open-ended. Otherwise, the movie wraps up quite nicely. I'd give this movie a Great. I thoroughly enjoyed it, other than my few qualms towards the end.  If you're a fan of David Hyde Pierce, or of deranged comedies, be sure to check it out! Ok, this isn't from the movie. 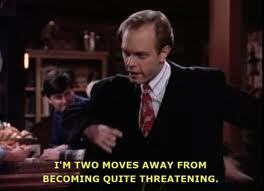 This is from "Frasier". But in "The Perfect Host" David Hyde Pierce hosts a party both more successful and more disturbingly foiled than any Niles and Frasier ever hosted.